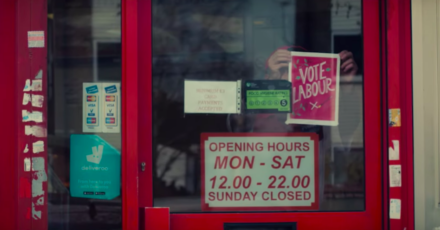 Labour’s newest party political broadcast, ahead of local elections on 2nd May, delivers the message that “austerity isn’t over”. Narrated by Mancunian actor Maxine Peake, who is a supporter of Jeremy Corbyn, the film airing tonight focusses on the “land that Brexit forgot”. As with other recent PPBs, Labour eschews Brexit to instead talk about education cuts, the housing crisis, our underfunded NHS and rising violent crime. The effects of Tory policies – and it is made clear that they are a result of “ideological choice”, not necessity – are shown through clips of realistic experiences, from a child in hospital awaiting their operation to people trying to access shut-down services. The broadcast was filmed in areas of the country that have been most affected by Tory austerity, including Bolsover, Gloucester and Chippenham. It features young activist Cameron Mitchell from Dennis Skinner’s seat and Labour’s newest MP Ruth Jones, as well as Jeremy Corbyn. “The time for tinkering around the edges is over,” viewers are told. The script emphasises community-oriented work, local decision-making and specifically the importance of high streets, promoting the party policy of establishing regional development banks. 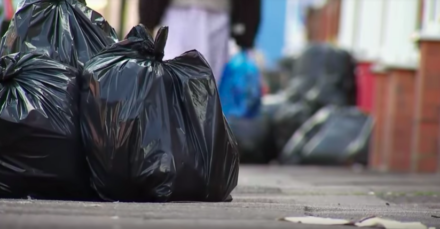 The Conservative Party has also shown a willingness to avoid Brexit during the local election campaign, with its own party political broadcast carrying the same message as the one it used in last year’s local elections – “bins not Brexit”. The first Tory broadcast of the local elections makes claims about having better services and lower council tax in Conservative-run councils. It ignores the national picture entirely and appeals to the head rather than the heart – unlike Labour’s offering. Both main parties want to avoid the central issue of the day, which continues to divide voters across the country and within seats. The councils up for grabs are largely in 2016 Leave areas, where Labour usually struggles and where traditional Tory voters are likely disappointed by the government’s chaotic handling of Brexit. Commenting on Labour’s PPB, the party’s campaign chief and local government spokesperson Andrew Gwynne said: “We are saying it like it is. Austerity Britain isn’t over and all across our country, communities are feeling the serious pinch after nine years of austerity and a Tory-made crisis. Below is the full text of the PPB script. Austerity isn’t over. It isn’t over for the kids who don’t have the text books they need in school. It’s not over for the young person still living at home, who can’t afford to move out. For the patient left waiting in pain, their operation delayed once more. Nor for the elderly person living in fear, because violent crime has doubled in 5 years. Austerity is an ideological choice, made by politicians who don’t use our hospitals, live in our neighbourhoods, or rely on our public transport. Bringing the chaos to an end starts with electing local leaders who have the courage to break with a strategy that’s not working for the many. Who won’t stand by while your park, library or police station is closed down, sold off to private developers. Public services like the NHS are among our country’s greatest achievements. They support us from our earliest years; always there for us when we fall. We must move quickly to protect and build upon what generations before us built – what belongs to us. Our country is one of the richest in the world. We can afford to keep our schools open, make sure a day’s work pays a proper living wage, and build enough affordable homes to end the housing crisis. We can do this when we work together. Because a party made up of hundreds of thousands of people from every region of Britain will do things very differently to a party funded by the privileged few. Labour will rebuild our communities after years of austerity. We’ll make our high streets thrive again, with regional development banks supporting local shops and small businesses. And our councillors will work with you to bring decision-making back to where it belongs – the community. The time for tinkering around the edges is over. The time to act is now. Vote Labour on May 2nd.